I am running Chief of the Foundry Should I replace the Weaponcraft Enthusiast with Frogmite ? 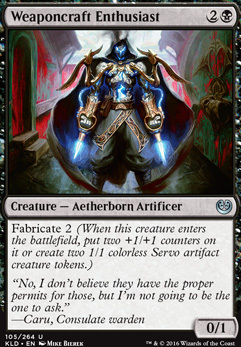 Maybe consider 2-mana cards that get you servos? because 3 mana may not sound like much, but it is quite a bit. 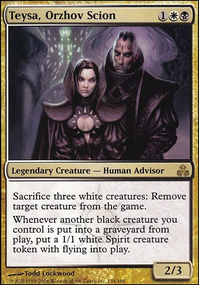 plus, you don't really need the 0/1 vanilla creature after you get the servos, because your whole point is to turn them into 5/5 creatures. I agree with Threefoldsuns. 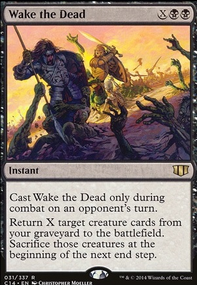 you could even run Chief of the Foundry , and that would still be a good card that's way better and more valuable than Weaponcraft Enthusiast . Frogmite is good too, run that card definitely. Weaponcraft Enthusiast doesn't add a Servo to the token dropdown in playtesting. Lovely deck, great name, nice description! I want to thank you for pointing out the mill ability of Krav and infinite tokens. Hilarious and something I'll definitely try to do in my deck! For the Nim Deathmantle combo you might like Weaponcraft Enthusiast and Ministrant of Obligation . They give you the bodies you need but without a huge cmc cost, meaning you can get sac fodder for Krav sooner or combo quicker. Ministrant of Obligation , Sengir Autocrat , and Weaponcraft Enthusiast seem strong for sheer amount of bodies. You also have enough triggers for Panharmonicon and Strionic Resonator to be worth it. +1 from me! Off the bat, here are some cards I would cut. lagotripha hey thanks for the help with the deck much appreciated. 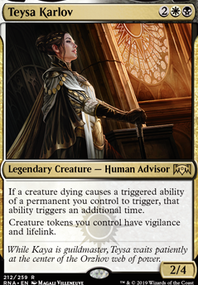 I've been using the playtest option on this site and Skirsdag High Priest seemed to be working pretty well, specifically with Rite of Belzenlok and Weaponcraft Enthusiast since outside of sacrificing, the tokens don't seem to do much making them perfect targets for taping for demons. 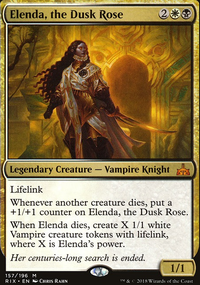 Same for other cards like Dusk Legion Zealot. Is this way of thinking wrong? I think I'll try Costly Plunder instead of Skirsdag High Priest like you said to see if it improves the deck. One last question would be about the sideboard. Does it make sense? I've mainly put stuff in against counterspells but I don't know if that's the right thing to do. Thanks again.